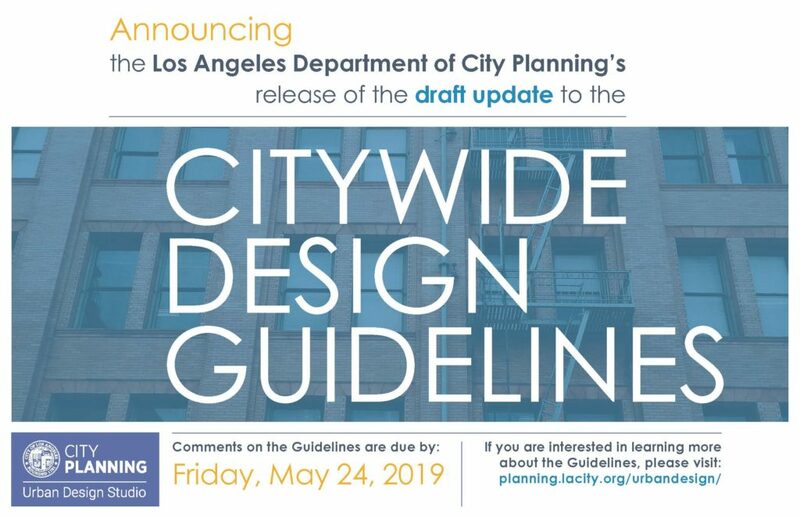 APA LA » Announcing the release of the Draft Citywide Design Guidelines! The Los Angeles Department of City Planning’s Urban Design Studio is pleased to announce the release of the draft update to the Citywide Design Guidelines. Please submit any comments on the electronic version of the document located at the website above by Friday, May 24, 2019. Inquiries regarding the Guidelines can be submitted to danai.zaire@nulllacity.org.